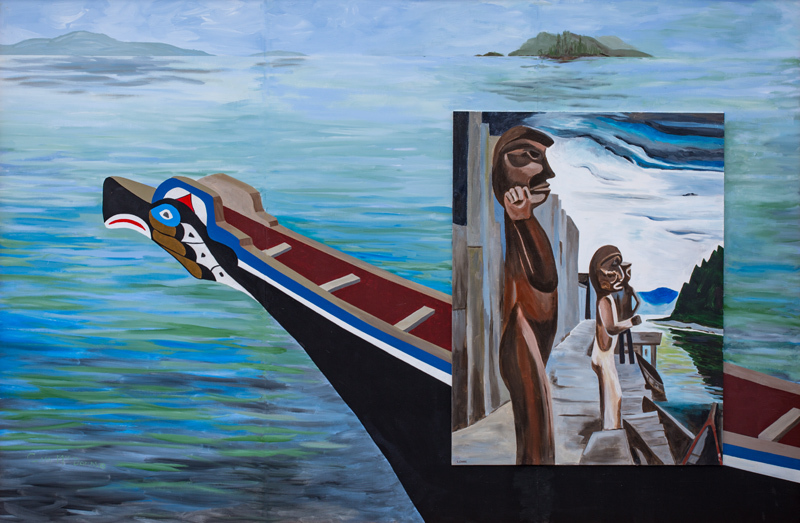 The canoes and totems featured in this mural were carved from cedar. Cedar had a special significance in the culture and traditions of the Northwest Coast First Nations. Yellow cedar, being more pliable, was used for clothing — such as cloaks, and swaddling cloths for infants — as well as storage baskets for food. Red cedar was used for baby cradles, First Nations homes, and dugout canoes for transportation and fishing, and the iconic totems. 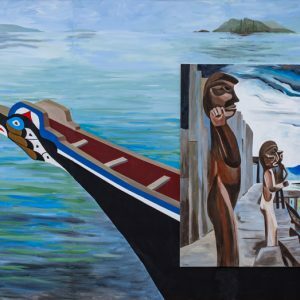 This mural contains a reproduction Emily Carr’s Blunden Harbour.